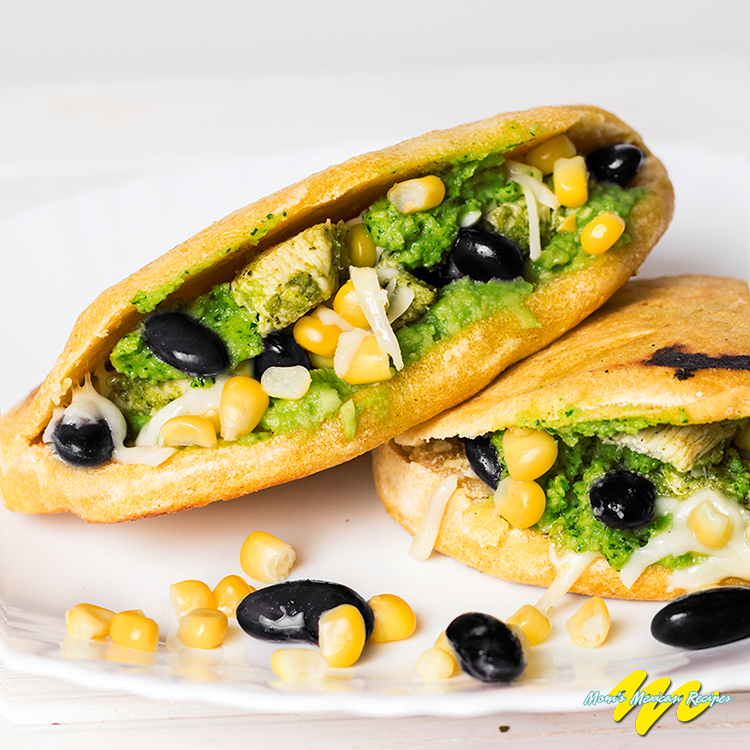 Tasty Arepas with excellent chicken marinated in Guasacaca sauce, divine Avocado spread, melted mozzarella cheese, black bean, and corn. Put the salt in bowl with warm water. Add cornmeal in a bowl stirring it well to form a dough. Set aside dough for 5 minutes. Form 8 balls from dough. Form from 8 ball dough disk shape arepas. Put the coated olive oil skillet on medium high heat. 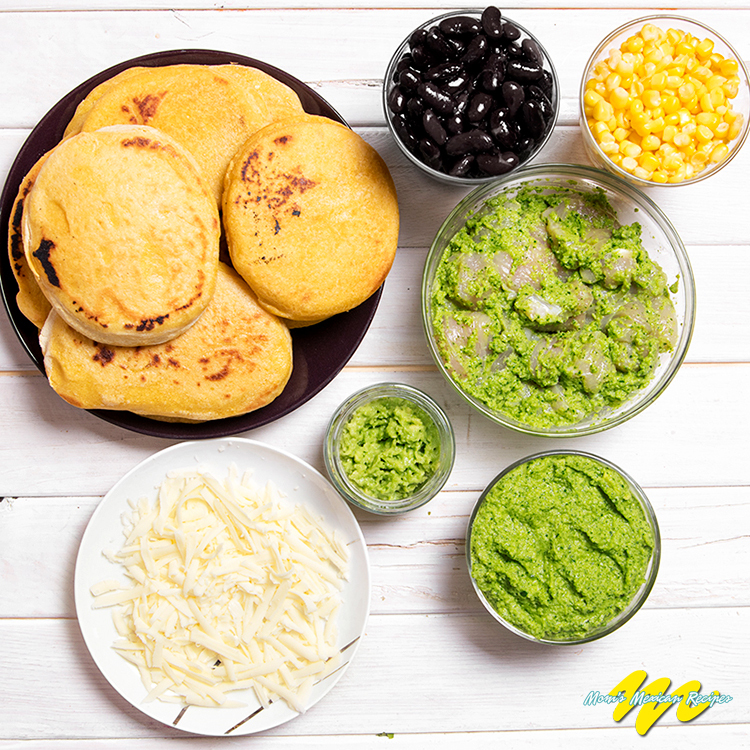 Place as many disk shape arepas dough in skillet and cook 5 minutes on each side or until golden brown. Repeat these steps for all arepas. Place all arepas in baking tray in oven for 10 minutes. Keep them warm for filling. Place all the ingredients for the guasacaca in a blender or food processor and blend until smooth. Season with salt and pepper. 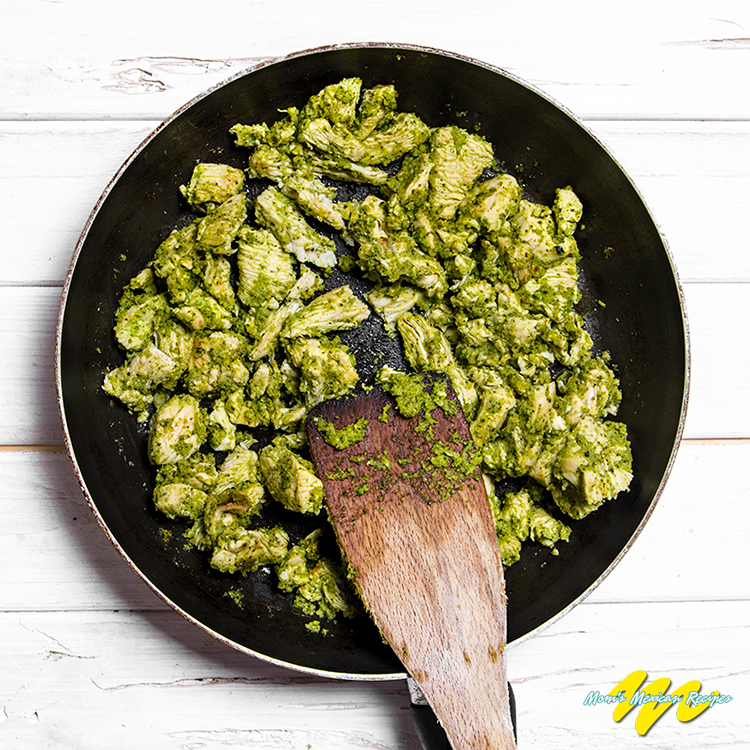 Cut chicken breasts into strips and marinate with ¼ Guasacaca sauce. Heat the skillet over medium-high heat and put marinated chicken for 5 minutes. Stir it all the time. Cover the skillet and lower the heat at low. Cook for 10 minutes. Now you are ready to staff arepas. With sharp knife open arepas and spread the avocado. Put the cooked chicken, black bean and corn kernels. Finish it with Guasacaca sauce and a little bit shredded cheese and enjoy.